While this definitely isn’t the first time I’ve seen a lamp designed on a computer, it’s definitely the first one I’ve seen where the primary design tool was Microsoft Excel. 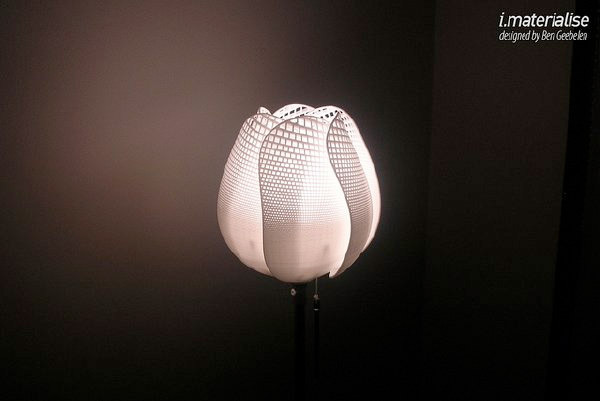 Ben Geebelen used Excel to create the pattern on his TulipK lamp, then used software called 3-matic and output it to a 3D printer to generate the tulip petals. 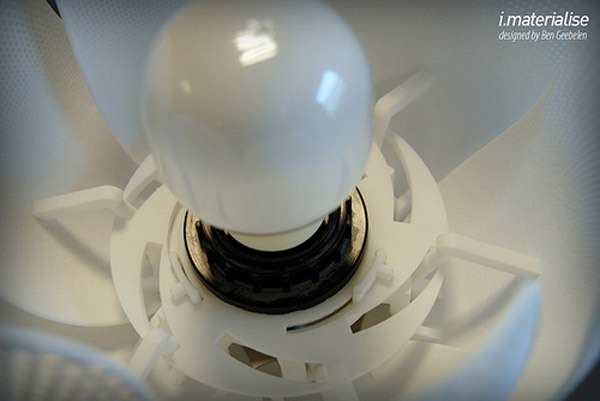 Each of the six petals is connected to a mechanism which allows the shade to be opened and closed around the bulb, providing a sort of analog dimming mechanism. 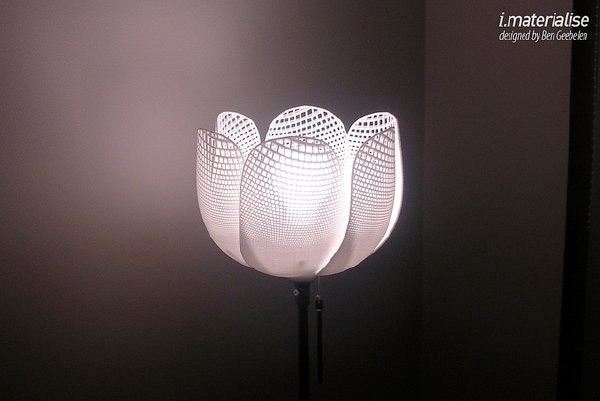 The Excel spreadsheet provided the locations for each of the 2374 precisely placed holes in each of the petals, then created a 3D STL file for generating the actual printed petals which were output using selective laser sintering. 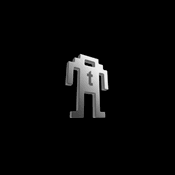 It’s the best use of a spreadsheet since Excel Pac-Man and Missile Command.